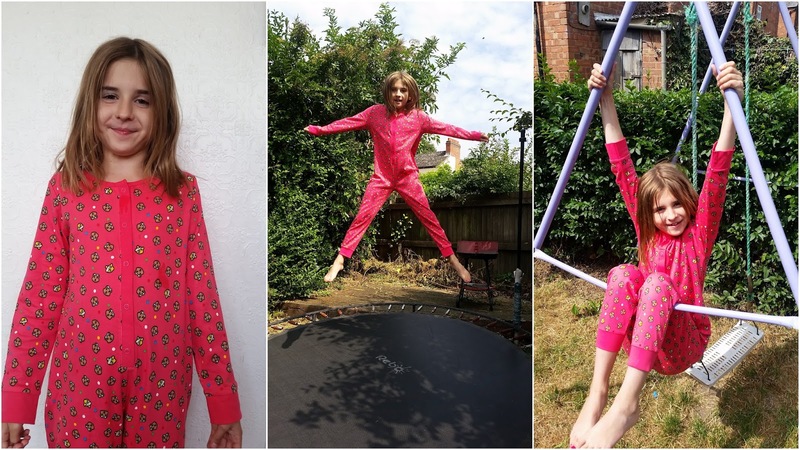 Mummy Of 3 Diaries: Debenhams joins forces with Pudsey with their New Children in Need kids collection & It's Mega Cute! Debenhams joins forces with Pudsey with their New Children in Need kids collection & It's Mega Cute! Debenhams gears up for what they hope to be their biggest BBC Children in Need fundraising campaign to date . Since raising £500,000 for the cause last year, the Debenhams team is undertaking another summer of support for BBC Children in Need. Stores are fundraising till the end of August and will also be supporting the charity with a range of limited edition merchandise. Exclusive BBC Children in Need products will be stocked in their Manchester store, with children’s t-shirts, leggings, dresses and onesies all available. Official merchandise, such as keyrings, Pudsey ears and wristbands, will also be available and all profits will be donated to BBC Children in Need. BBC Children in Need galvanises the UK to raise money for projects across the UK, which are working to change the lives of disadvantaged children and young people in their communities. Sitting alongside Help for Heroes and Breast Cancer Now, BBC Children in Need is one of the official partners supported by the Debenhams Foundation in the UK. The 200 year old department store chose these charities following feedback from its customers and employees. The Debenhams Foundation is Debenhams’ own charity that was set up in 2012. Since its launch the Foundation has raised over £5 million for good causes. 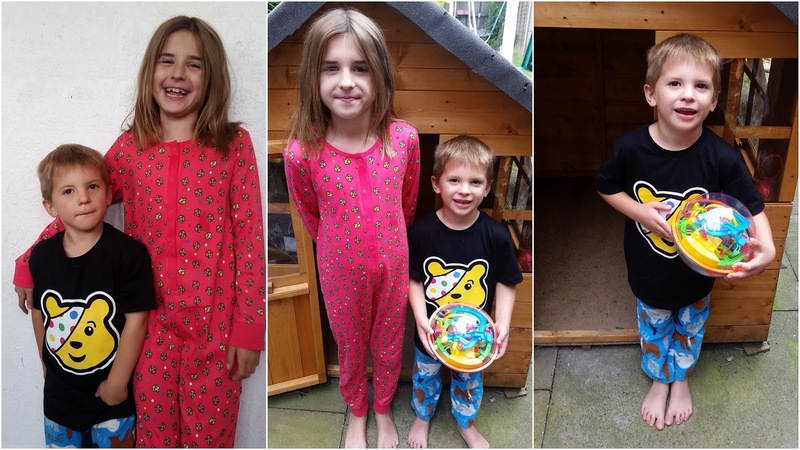 Not only is this Children In Need Children's range all for a great cause but it's pretty darn cute too! Check out my youngest two modelling their new Pudsey Children In Need clothes. Lily is wearing their pretty BBC Children In Need girls' pink 'Pudsey' print onesie which costs £12. It's available in sizes ranging from 4 years to 12 years which is lovely. It's made from pure cotton for a super-soft finish with popper fastenings and features everyone's favourite mascot, Pudsey all over it. It's a really sweet onesie and Lily loves it. 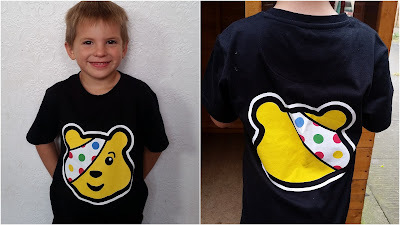 Ryan is wearing their BBC Children In Need Children's black 'Pudsey' print t-shirt which costs £7. Ryan loves it, he's worn it several times since it arrived. Available for children aged as young as 2 and as old as 14, there's a great range to include most aged children. Again, it's made from a super-soft cotton for increased comfort and is finished with everyone's favourite mascot, Pudsey, with his iconic polka dot bandage on his head. My favourite thing about this t-shirt is that you can see Pudesy's face on the front and then the back of his head on the reverse. It's a really clever idea and look so cute when being worn. 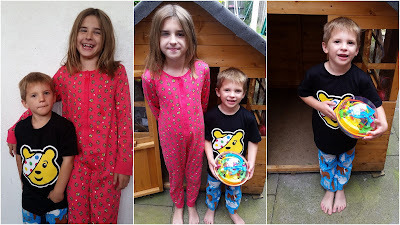 Both Ryan and Lily are loving their new Children In Need clothes and are happy to be supporting such a great cause. 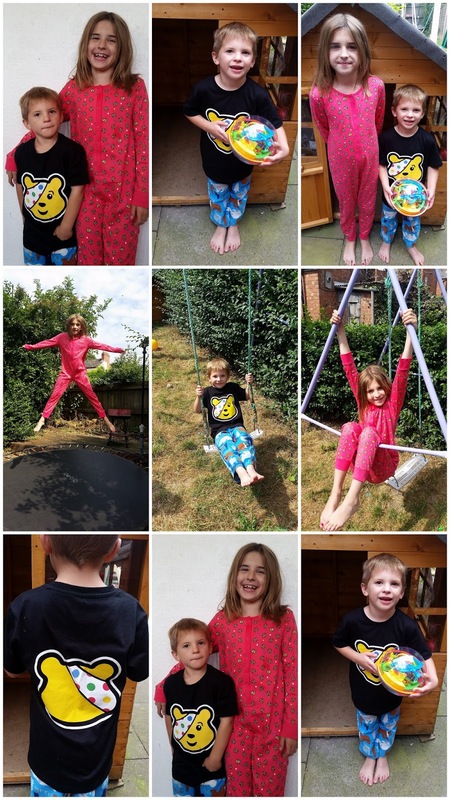 Children In Need is a well deserved cause and we're all happy to get behind it and help Debenhams get the word out about their clothing range. Disclosure: We received our samples for free but this review is written of our own free will and all the opinions expressed within it are 100% honest and entirely our own.